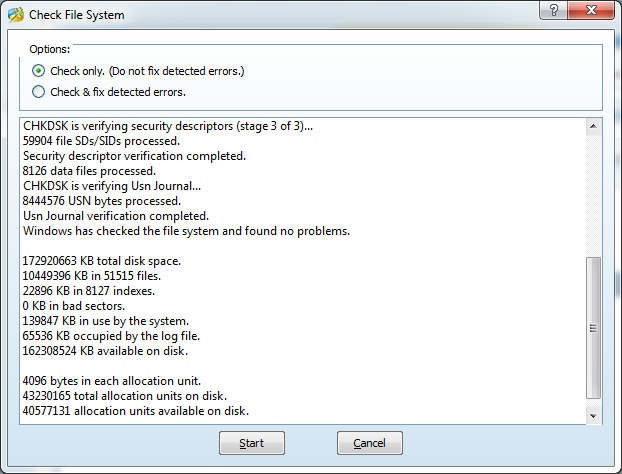 There can be n number of reasons why one would want to tinker with their hard drive partitions. It could be due to the need of an extra partition to manage an extra OS, merging to many small partitions, creating a recovery drive or simple just to change the letter of one of your partition. It is always suggested to keep your personal data in a separate drive from your OS in case you have to reinstall your OS after it has corrupted irreparably. You can make use of the Windows native Disk Management Utility to do so but I know that most of us prefer to use a third party software to do so because of simpler user interfaces and many more features than those directly available in the Disk Management Utility. 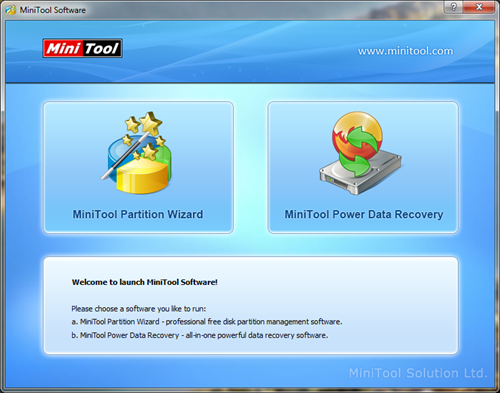 Minitool Partition Wizard is a compact software which provides amazing hard drive managing and data recovery capabilities. It runs on all Windows version from XP and above and works on both 32 and 64 bit versions. Using the Resize feature you can increase or decrease the size of a partition. Suppose we have two partitions C and D. We want to extend the partition size of C by 10 GB. To do so we will first select the drive D and click on Move/Redize. Then increase the Unallocated Space. Then drive C is selected and using the Move/Resize button we will allocate the free space to drive C. And then finally click on Apply for the changes to take effect. It is as simple as that! You can create a copy of a partition simply by selecting the partition you want to copy, select the free space where you want to copy the partition and then preview the size, location and type of the partition. When your hard drive is crowded by too many files then it can become quite tiresome to find a particular file when you need it the most. To overcome this problem we create folders but sometimes it is better to devote a partition for some particular task. I for instance prefer to keep my softwares in a separate drive and my other files in a separate drive. If you computer came with only 2 drives or even less may be if the OS was installed by an amateur then you should consider create new partitions. To do this you just need to select the drive from which you want make a new partition, deallocate memory from it and then allocate that free memory for a new partition. This does the same job that you can do with the Resize feature. Just select a drive you want to extend and select the unallocated memory or a drive from which you want to shift the memory capacity to the former. You can directly split a partition into 2 by using Minitool Partition Wizard. 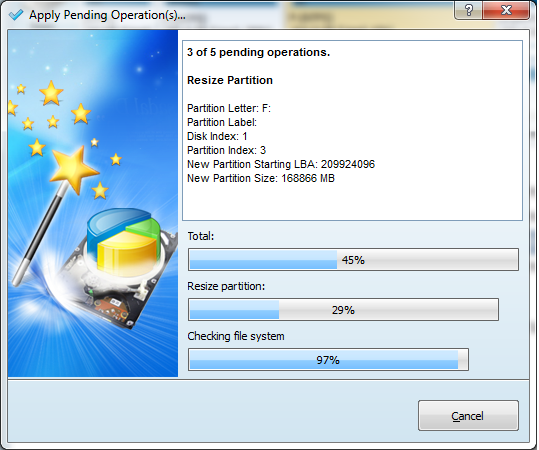 Just select the size of the original partition and the new partition and apply the changes. You can delete a partition which you no longer require as such or is infected. The memory will be shifted to unallocated memory and can be allocated later to make a new partition or to extend an existing partition. If you just want to clean a partition and not deallocate its memory then you can format it. This is the same formatting which you can done by right clicking on the Drive and selecting Format. NTFS file system has many advantages over the FAT file system. It is better in terms of security, allows encryption and compression, has better data saving speed and provides better consistency of data. You can use MiniTool Partition software to convert the file format from FAT to NTFS while preserving all of the data. From the software itself you can explore the contents of a partition. You can also change the drive letter if you want to. Also, you can Hide a partition. Such a partition won't be visible in My Computer and can't be used. You need to Unhide it using Minitool Partition Wizard when you want to use it again. For free you can recover 1 GB of data from your one or more partitions. I tried this feature and recovered a Pdf file which was recovered without any data corruption. If you want to recover more data then you must pay some amount according to the data you want to recover. These are some advanced functions which can effect how your OS works with/from the partition. If you don't already know about them then I don't suggest any tinkering. You can do a surface test to check the physical condition of your hard drive. This test will reveal if there are any Errors in the data sectors of your hard drive. There is also a feature to repair damaged sections on your hard drive parition. From formatting, deleting, splitting, extending to some fancy tasks like Hot Extend of the system partition, Converting GPT Disk to MBR Disk and support for hard disk formats IDE, SATA, SCSI, USB external disks and Fire wire disks; Minitool Partition Wizard functions as your one stop shop for all your partition needs. I have previously used Aomei partition wizard and I must say that Minitool Partition wizard has many more features that Aomei. In terms of speed, Minitool Partition is quite fast and is similar to most other partitioning softwares like from Aomei and Easeus. Corruption of disk was quite common when using such softwares especially in case of Power off. However, to specially target this issue, Minitool Partition Wizard has data protection mode which will prevent from any type of corruption even in case of Power failure. However, it is still suggested to back up your important data because the system is still not full proof. Cons: No drawbacks we can point except for the fact the Data Recovery utility is free only up to 1 GB.